Silver Lake Resources and Doray Minerals have launched plans to merge. The gold producers have entered into a binding scheme implementation deed for Silver Lake to purchase 100 per cent of Doray. 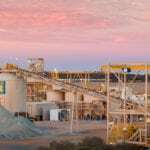 The deal, which is subject to shareholder approval, would create a mid-tier company focused on the Western Australian gold sector. Silver Lake would emerge as the majority owner of the merged entity with a 62.7 per cent share, while Doray shareholders would hold the remaining 37.3 per cent. The bidder is offering 0.677 company shares in return for each Doray share, valuing the target at around $157 million. Should the deal go ahead, the merged company will have a total estimated market capitalisation of $421 million. Both Doray and Silver Lake’s boards have unanimously recommended the transaction. If combined, Doray and Silver Lake will become a new mid-tier gold producer with a combined mineral resource of 4.6Moz equivalent and sales guidance of 240,000z of gold for the 2019 financial year. 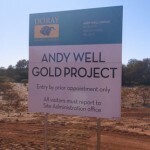 Doray’s primary assets include the Deflector, Andy Well and Gnaweeda projects, which host gold resources of 800,000oz, 503,000oz and 322,000oz respectively. The Deflector project also hosts a modest copper reserve of 16,000 tonnes. 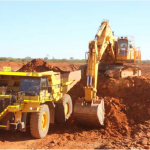 Silver Lake’s primary focus is the larger Mount Monger project, which hosts a 3.72Moz mineral resource and consists of three underground mines and one open pit mine. However, the Andy Well and Gnaweeda resources are not included in the merger figure as they are part of a divestment and farm-out deal with Galane Gold. Doray managing director Leigh Junk said the deal would provide the financial strength to fully unlock the value of Deflector. “Both companies have recognised the challenges of being a significant producer in the gold business and this transaction puts us in a position to not only compete, but to be a sustainable and relevant player in the global gold industry,” Junk said. The combined portfolio of Mount Monger and Deflector also includes several in-mine and near-mine exploration and development opportunities. 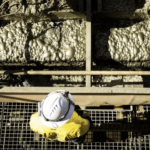 “The combination of the complementary Silver Lake and Doray assets is being done for the right reasons at the right time and creates a stronger company in a low-risk jurisdiction,” Silver Lake managing director Luke Tonkin said.